The jetty was so crowded last night. Some of the regular anglers return home without setting up their tackle including me. But Ah An carried on fishing as he got no transport. Another reason is he want to go and hunt for Diamond travelly today at the spot near SAF yatch club. And he has no regret of staying behind. He smash the jetty barracuda record by landing this 6.9kg beauty. 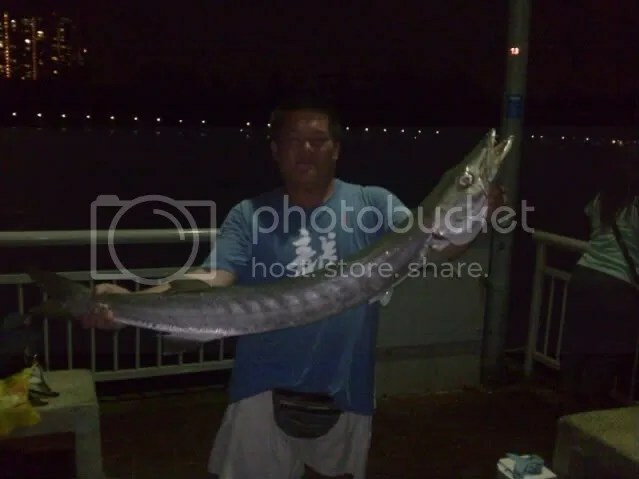 I have been at the jetty for many years and I never seen or heard any barracuda landed bigger than this one. The most is about 4kg. 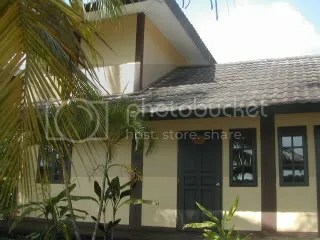 Took two day annual leave and go with my family for a short vacation to Pulau Ubin Celestial resort. 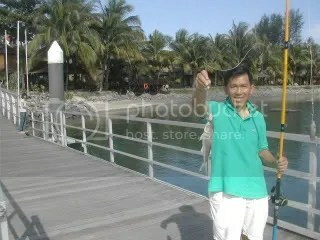 while my family have their own program, I manage to do a short fishing on the resort beach front and the jetty. Caught this small cat fish with a small cuttle fish as bait. Went to the jetty last night after the rain. Decided not to fish as the water is quite cold after the afternoon heavy down pour. Only catching squid. 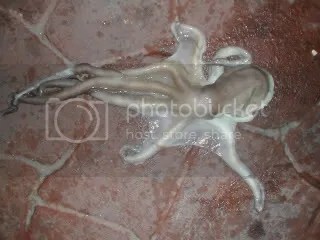 Initially squid was slow but pick up after the tide turn. Catch until 5am and went to my mobile home to rest. Wakeup at 7.20am and headed back to the jetty with two rods. Tamban (herring) was very rare so I used the night herring I prepare last night for bait. Tide is coming up and the current is smooth with the sea surface very calm. Great chances for fishing as compare to last night water. No live bait so both rod are on bottom fishing without cable car rig. Bait was lasting by initial check. But I change it after every two wind back. 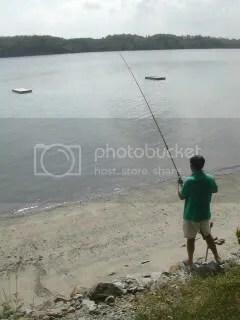 At 9.20am, I was walking around when suddenly I saw my rod tip bend downward follow by the reel alarm sound. I was a bit disbelieve of seeing this happened as I never thought I can catching fishes on continuous weekend after the two G.T. Automatically I still rush forward to strike. The fish make a acrobatic jump on the water surface and I know it was a queen fish took my bottom feeder bait. It started to move left and I follow by winding back line. It make few deep dash when near to the jetty. After some hard pump on the rod, I manage to bring it to surface. I call out to a regular there who come over and gaff it up for me.